As regulatory change continues to mount and consumers become increasingly vigilant, the need for a robust risk and compliance strategy is greater than ever. How can you be sure your business is doing everything it can to safeguard its future? 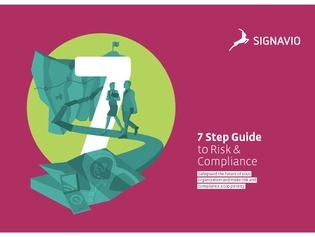 In this guide, learn more about the seven key steps to take to ensure your organization has a rock solid risk and compliance strategy in place. Plus, learn how to keep your business ready for future compliance changes.